Our core team are all specialist in their field. Our tried and tested arrangement gets results, which means you see brilliant returns. Your company can’t wait for your branding agency to deliver on its own timetable. Many of our clients have come to us when their existing agency hasn’t delivered by their deadline. We always get the job done, on time, on budget – we’re meticulous like that. We’re not your typical agency - we make your brand work for you. By implementing campaigns, projects and programmes, we help you build your company’s profile and achieve your sales and marketing objectives. After all, that’s what it’s all about – translating branding into commercial success. We know exactly how tricky it is to stand out from all the competition. That’s why your clients need to know why you can do what no one else can, and experience those unique selling points with your brand. And that’s exactly what we do. Whether it’s your letterhead, web development, a trade show booth, packaging, POS or your office graphics, how you communicate with your clients should bring your brand to life. At Mercury Creative, we create brands that distinguish you from your competitors, clearly defining your message and engaging your client base. We don’t just create your brand. We deliver to our clients lasting experiences through pitch-perfect messaging. That’s because we do more than develop a brand – we create identities that grow along with our clients’ businesses. It is important that every brand makes an impact in its market. While we know that all brands want this, not many get there … and thats where we come in. At Mercury, we believe that your brand is the first impression that your customers and stakeholders have of you. Hence , it is very crucial to ensure that your positioning, tone of voice, your image is done seriously and done well! We bring our clients solid industry know-how and specialists who use their talents to make your brand shine brighter than the rest. 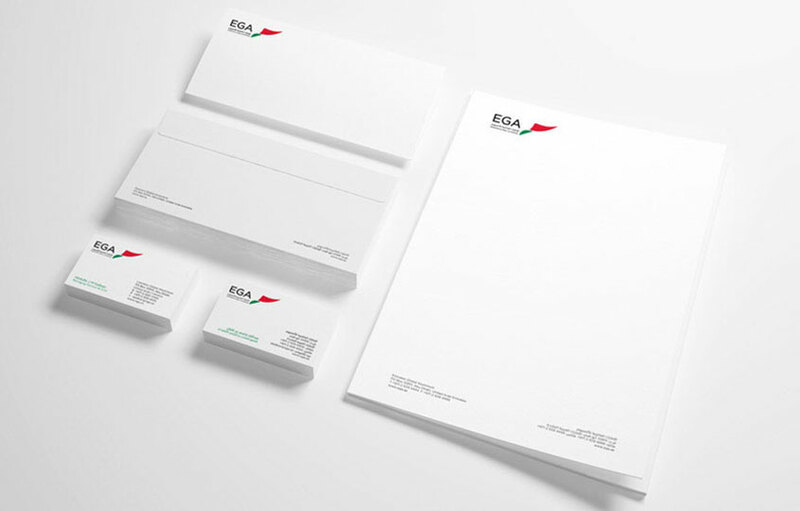 With the new EGA identity, Mercury was then asked to ensure that the ientity was transferred across all mediums from their online stationery catalogue, internal newsletters in english & arabic, ongoing internal campaigns, stationery suite, wrapping paper and so much more. 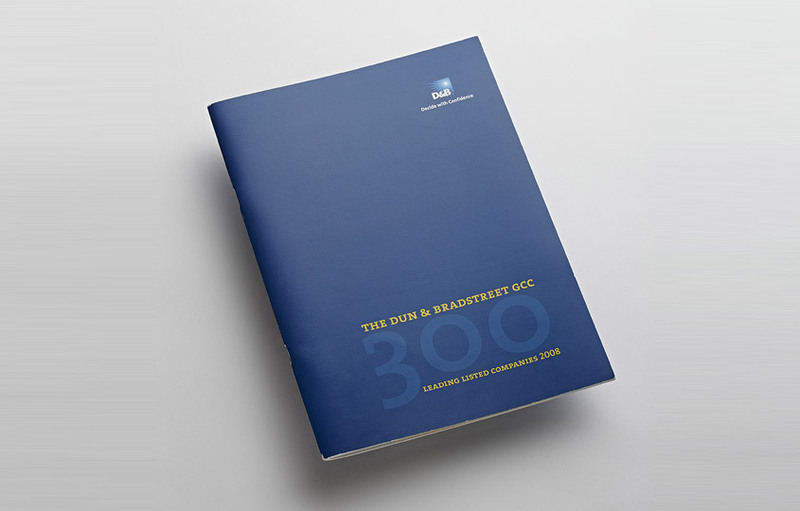 The challenge posed by Dunn & Bradstreet related to the production of a directory featuring the top-performing companies, in which the information would be segregated according to industry, income, growth and ranking. To counter the data-rich nature of the publication, a modern, visually pleasing design was required, thereby ensuring user-friendly access to the information. A clean-cut, corporate design grid was devised, with well-defined information categories. Bold use was made of colour and graphic elements, creating a well-balanced, appealing publication. Acoulite logo was revamped and a whole new identity was created. A tie line was also introudced that embodied the company's services. 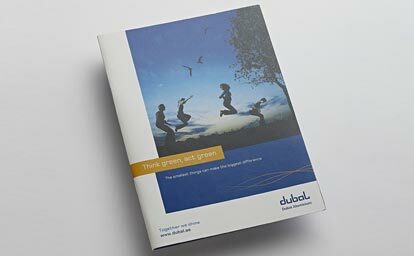 The new identity was then developed across all internal and external communication forms from stationery to CAD ppt tempates, corporate brochure and a spiffy looking website. Living up to its promise to customers of ‘providing fine food with a passion’, Chef! is a purveyor of top quality standard and gourmet food ingredients. 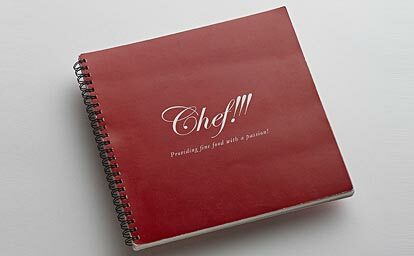 The initial brief was to design a corporate brochure and before long a strong relationship developed – Chef! soon included us in the company’s brand and strategy team. OBE conatcted Mercury to use our creative ideas to have a brochure that could be used at the Gulfood. 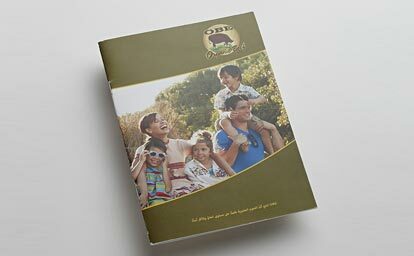 The brochure was in English and Arabic and helped increase the awareness of OBE as a new entrant to the GCC region. 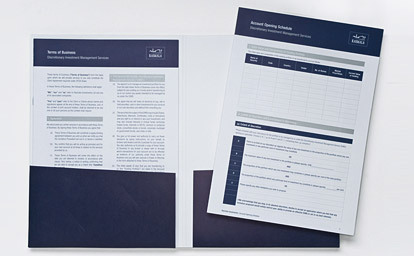 Dubal	commissioned Mercury to design their internal collateral on safety communication. The hazard safety booklet is a part of a series and the team at Mercury needed to ensure that not only was the `hard factual` content displayed in a visually pleasing manner, follow guidelines and its importance not lost. The booklet is targeted at the staff recruited for that par6cular section. 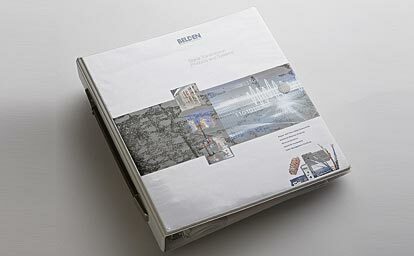 Belden already based in the region with a strong identity used Mercury Creative to extend their various communication needs from a local perspective. 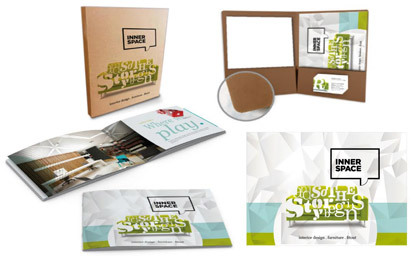 Sales Kits and various other collateral were designed and produced to support trainings and events that the company participated in. Mercury believes very strongly in investing in brand Mercury. And so every year we do something that embodies our work and also leaves a lasting impression with our clients and potential clients. The section shows you some of our very successful self branding awareness exercises... Oh and today we have a database of people who want to be on our mailing list because they love to see what we have been doing every year! Invest in your brand - if done well it will always yield returns! 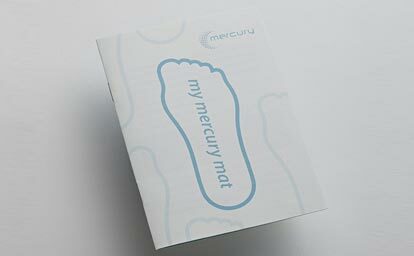 At	Mercury	we	believe	in	not letting our	clients	be	stressed, So	we decided	to	go	one	step further	and help	them…	The feet	are	your gateway	to health	…	Did	you	know that	by standing	on	the	mat	for	just	10 minutes	a	day	,	you	will	feel recharged and	motivated. This direct mailer	which we	sent out	with	a	booklet	and	a handy bag (designed	by	us	of course) has	gotten	Mercury many	invites	for meetings	and led	to	a	lot	of	business. message	-	Be	wise	with	your corporate	giveaways	-	they need	to	be creative	and useful! The old adage says that its survival of the fittest, we at mercury believe that in this day and age, it’s really survival of the most agile, knowledgeable and dynamic, that emerge truly successful. And, in navigating the forces of the corporate jungle, we liken ourselves to the personalities of the real survivors, the animals whose instincts and fortitude inspire us. 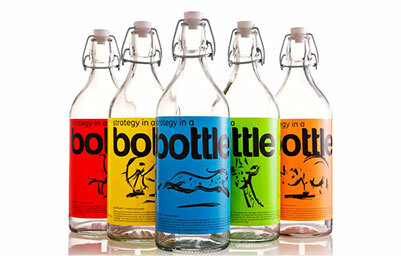 The creative bottles come in 5 different colors and artworks showcasing the Mercury Creative Concepts experience – specifically our ability to understand our clients’ brands and deliver uniquely tailored, refreshingly different, tantalizing design solutions, every time. The response to this promotion was overwhelming. At	Mercury,	the	team	is	from	various	corners	of	the	world	-	we	decided	to	create	our	own	signature	which	we	use	on	everything	from	mugs to	ppt	templates	etc. Elements	used	in	the	design	were	inspired	from	Mexico,	South	Africa,	India	and	Jordan. We	also	then	decided	to invite	ourselves	for	coffee	and	actually	had	the	coffee	beans	mixed	up	from	all	these	countries	-	the	mercury	mix. 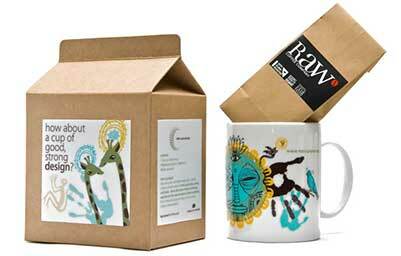 With	some	awesome packaging	using	different	artworks	and	messaging	we	were	received	very	warmly	and	till	today	have	loyal	clients	using	our	very	own	mugs! 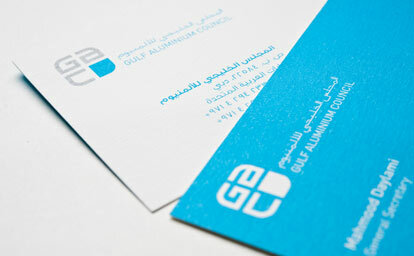 Gulf Aluminium Council (GAC) is an industry body, formed in 2008, to represent the primary aluminium producers in the Gulf Co-operation Council (GCC) region. 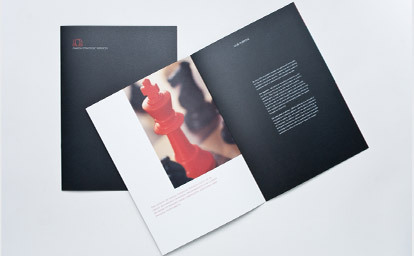 Mercury was commissioned to design and produce GAC’s second annual report/ brochure. 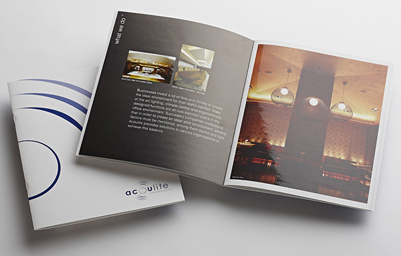 By using sophisticated design elements in an elegant template, the printed report embodies the status of GAC. Landmark Group was founded in Bahrain in 1973; and has since grown into one of the largest and most successful retail conglomerates in the Middle East. 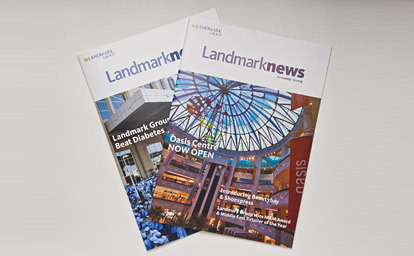 Aiming to keep its staff informed of company developments, achievements and events, the company issues a quarterly newsletter entitled “LandmarkNews”. Mercury was commissioned to produce the newsletter, using a vibrant, modern design so as to appeal to Landmark Group’s young and energetic workforce. A fresh, clean design template, balanced with relevant photographs, ensures readability and retention. 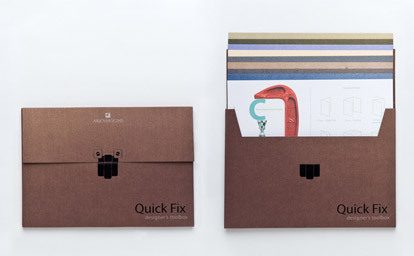 Arjowiggins, a French fine paper company, was looking for a mailer with staying power. We developed a designer’s toolbox, where each printed insert contained handy information for designers – such as standard folds, proofreading notation, standard paper and envelope sizes, and so on. Each insert also displayed a different type of printing process so people could see how the paper behaved with different production methods. Having recently launched a new corporate identity, the organization required a full suite of corporate collateral plus interior & exterior branding of the DCCI head office. No application was too big or too small for our creative thinking. 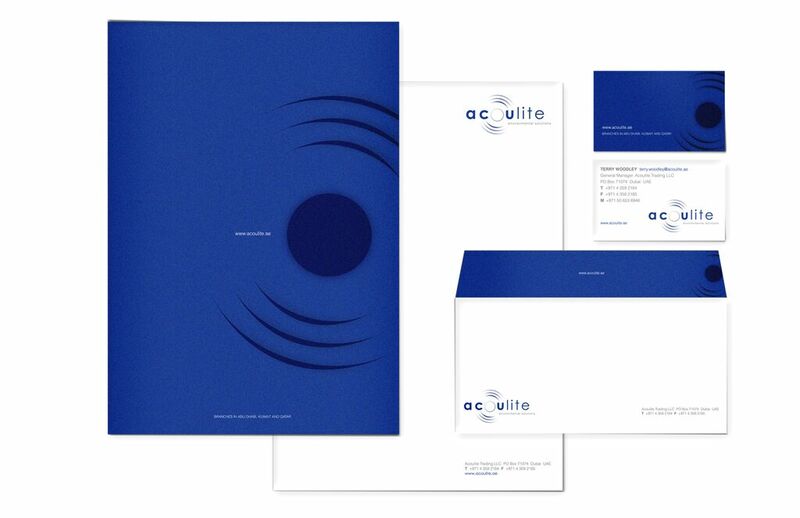 From trophies to notepads, brochures to certificates, window signage to corporate stationery, we applied the corporate identity elements using variations appropriate to the specific applications. Having decided to participate in GITEX Technology Week, DIS was looking for an exhibition stand that would offer exhibition visitors the chance to experience EDIsecure technology first-hand. 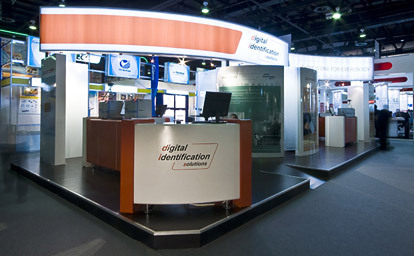 A state-of-the-art stand design was developed, featuring interactive displays of EDIsecure technology. 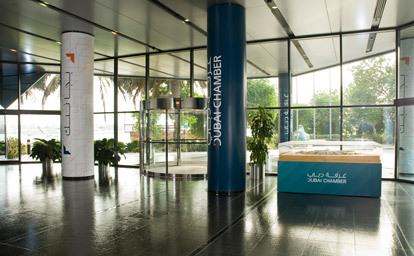 The stand also included a built-in, circular meeting room, which offered potential clients the option of more private discussions. Omega Strategic Services (OSS) specialises in the delivery of sustainable operating environments by integrating integrated protection services, intelligence and risk advisory, operations support and negotiation support. Mercury was to create a bold corporate identity that would communicate the company’s strength, the serious nature of the business and the solid body of expertise within OSS. The next step was to apply the identity across a wide spectrum of communications collaterals. "Rasmala Investment Bank is a leading regional investment-banking firm, headquartered in the Dubai International Financial Centre(DIFC). The need was identified to redress the lack of consistency in the marketing and communications collateral used across the group, as well as the different systems implemented in Rasmala’s various offices, by streamlining all financial forms and application of a unified visual system. Careful thought and creativity came together in this assignment: we developed a system that not only allowed for the logical flow of information and could be standardised across all offices, but which also reflected Rasmala’s corporate identity correctly. Values Group required a corporate identity where the logo and visual system could be applied with equal impact in both English and Arabic. By transliterating the word ‘values’ into the Arabic equivalent, and using this in a calligraphy style, Mercury created a unique logo for Values Group. 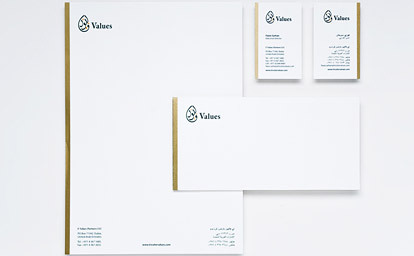 The colour palette blended with that of other companies, while a solid gold band running down the side of each stationery element ensured strong cohesion in terms of group-wide identity. Innerspace Interior Design LLC offers a full range of services covering all aspects of interior design-and-build projects, including workspaces for corporate clients, showrooms and hospitality outlets. 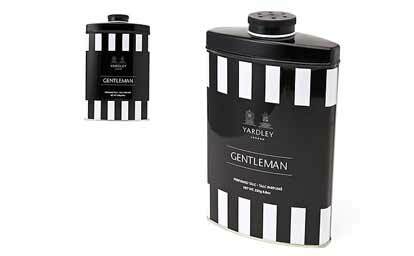 Established in London in 1770, Yardley has a well-established reputation for producing premium quality, beautifully scented bath soap, talcum powder and fragrances. The task of redesigning the packaging of select items in the existing Yardley talcum powder and bath soap was awarded to us, with the brief to make the merchandise bolder and eye-catching, so as to command a greater shelf presence and higher sales. After extensive research, we developed packaging that is more modern than its predecessors, yet has retained the essence of Yardley’s classic heritage.